Dunsborough's only independent bottle shop. 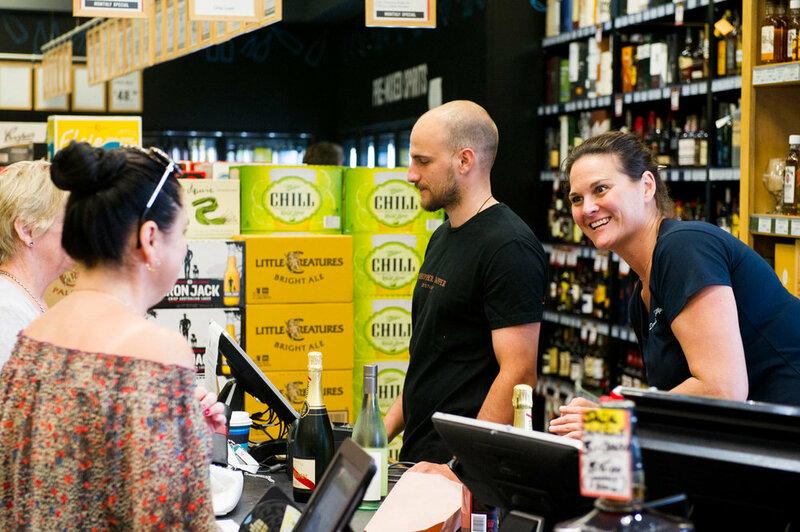 You'll find lower prices, friendly service and a great range of local wine and craft beer. Open Monday to Saturday. We can deliver drinks, ice, tubs and glassware in and around Dunsborough, Yallingup and Busselton. We can recommend great value, crowd pleasing wines, and we take returns of excess stock in case you over order. Chat to us about your upcoming celebrations - we'd be delighted to help organise the drinks! Cellar Club is our loyalty rewards programme. Some of the perks include a monthly $250 giveaway (automatic entry each time you make a purchase), achievable rewards, pay with points, exclusive competitions and offers. It's free to join, so sign up next time you visit.